Keep your circuits safe with the Asec Lockout Safety Circuit Breaker. This Universal Circuit Breaker Lockout from Asec has a highly visible red finish, which adds to the safety of the product. 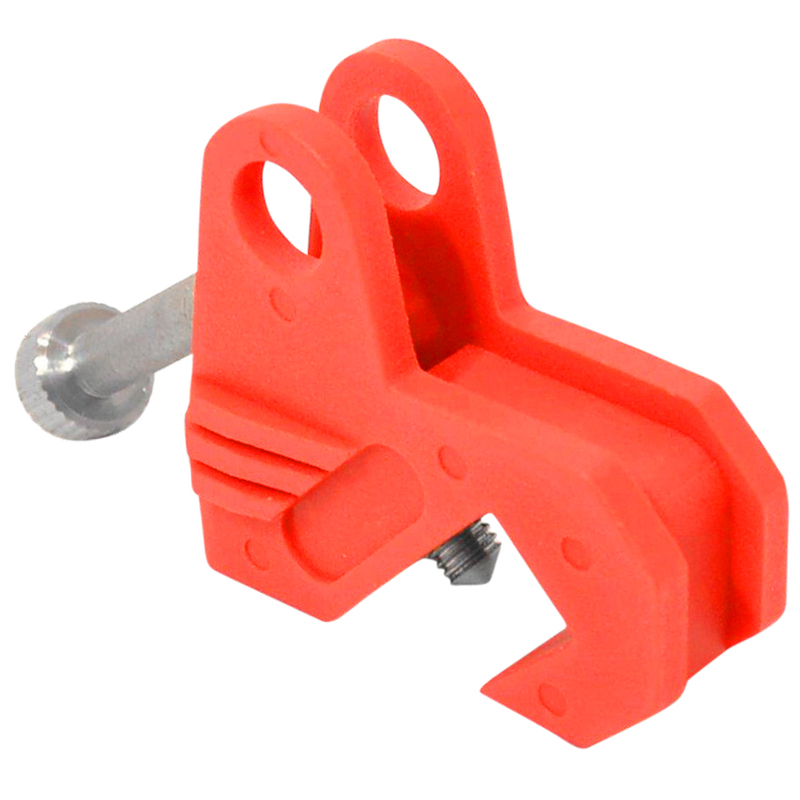 It comes complete with thumbscrew, internal grub screw and integral hinge for lockout tagout operations. You can be assured that this is a durable and reliable choice of circuit breaker as it meets all practices and procedures to safeguard employees from the unexpected energization or startup of machinery and equipment, or the release of hazardous energy during service or maintenance activities.